Which Monitor Stand do I Need? It can be daunting when deciding on the right monitor stand with so many available. This guide will help you choose the right monitor stand, bracket or arm. Why do I need a monitor stand when my monitor already has one? You may not need a monitor stand depending on your use case scenario and on the quality of the included monitor stand. Many brands typically use stands with limited functionality on value-oriented monitors to target a lower price. In turn, this means that although the monitor’s display might be good, the stand may only offer a limited range of adjustment. Most value monitors (and even some higher-end models) only feature tilt and typically only range from –5 -> 20 degrees. Value monitors may also have a low-quality stand which can shake the display even with the slightest bump. Higher-end professional and gaming grade monitors often come with high-quality stands that offer adjustable height, tilt, swivel and pivot. However, even these high-quality stands may be limited in their adjustments. A monitor stand can help increase the height at which the monitor is viewed at thus meaning that users do not need to look down at a monitor. 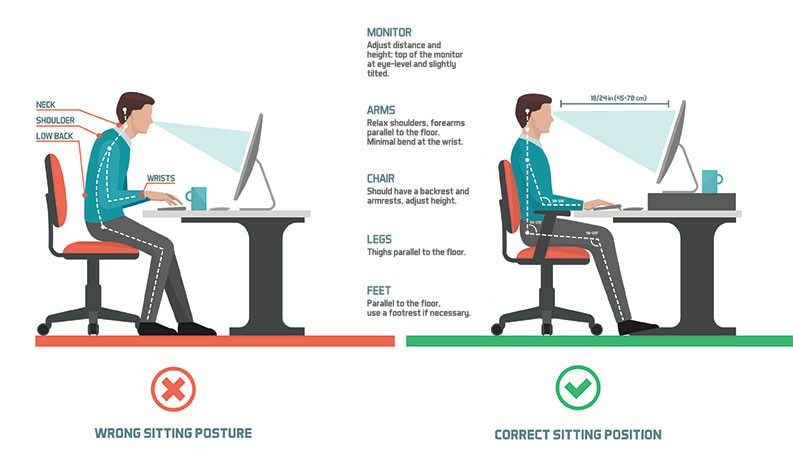 For the best ergonomics, the top of the monitor should be at eye-level and tilted slightly upward. 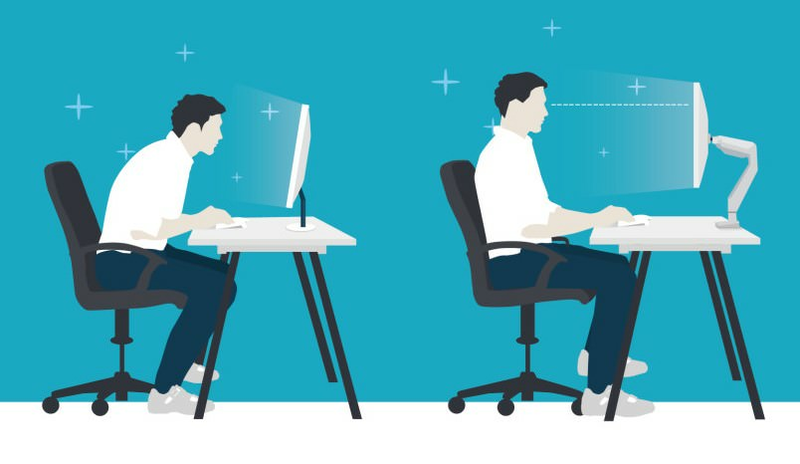 Both monitor arms and stands offer the user improved ergonomics. Typically, monitor arms are more expensive than stands due to being almost completely customisable and having a more complex design. The simplest monitor stand is to reuse a textbook or phonebook under your screen to raise its height. Just be careful not to do this if it makes your monitor unstable (especially if your monitor uses a stand with a wide or separated footprint). 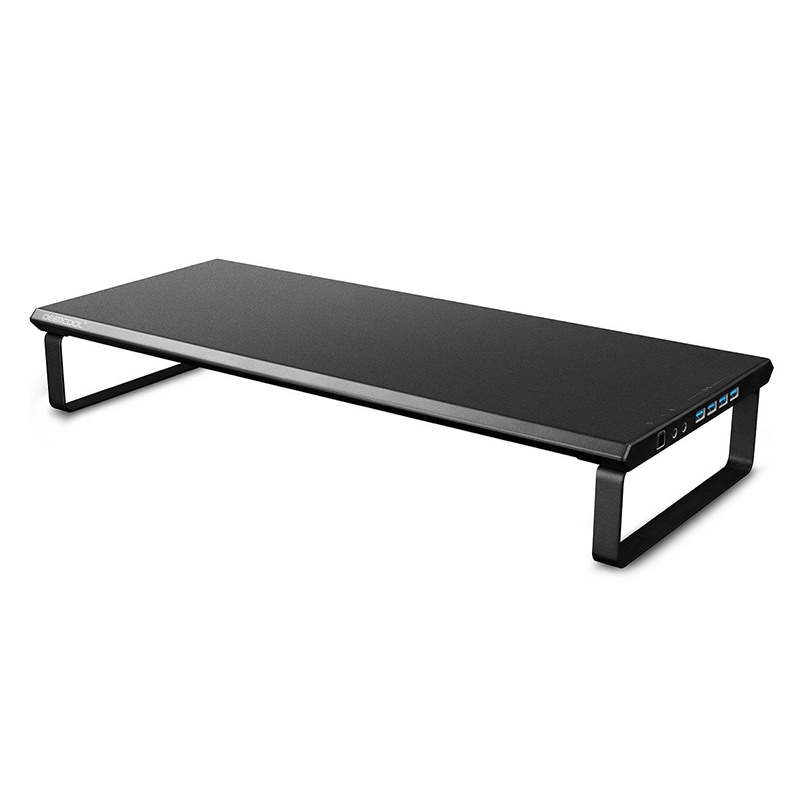 Some monitor stands such as the Deepcool M-Desk F1 offer additional functionality through the inclusion of features such as USB hubs, 3.5mm headphone/microphone jacks and adjustable height. Monitor arms offer improved adjustments and can also allow the monitor to be moved quickly. Depending on the model, monitor arms can be attached to a surface using either a desk clamp or screw mount. Monitor arms vary in design and can hold from just 1 monitor up to 6 or more depending on the model. 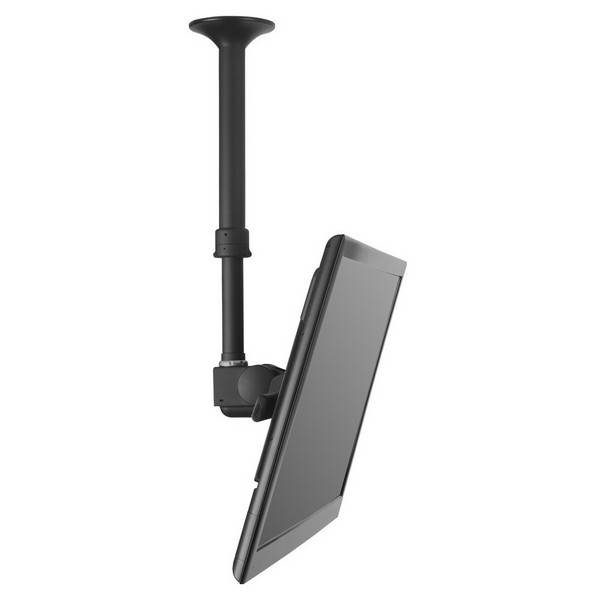 Some monitor arms are available with gas springs which allow for extremely easy monitor adjustments. Monitors are usually mounted to these using the VESA mount on the back of the monitor. 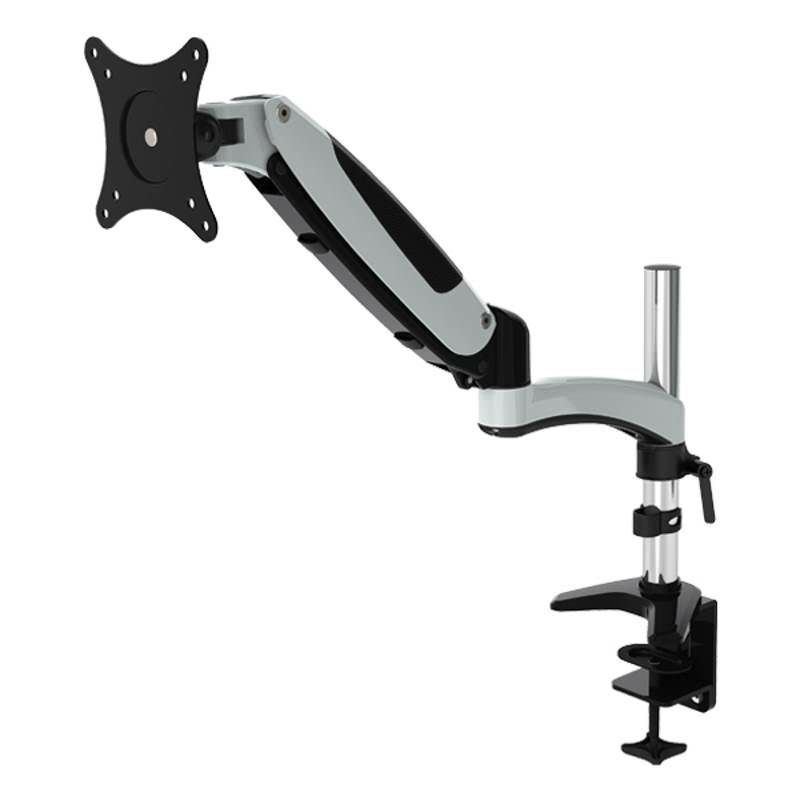 Most multi-monitor arms use a multi-arm design to support a range of monitor sizes. Keep in mind that monitor arms will require some assembly and require you to remove the factory installed monitor stand. Wall mounts are especially useful if you do not plan to mount your monitor to a table. Wall mount vary in design ranging from simple, flush mounts up to versions that are equipped with an arm for improved adjustability. Don’t have a wall or a surface to mount your monitor or TV? Then ceiling mounts may be the solution for you. These are typically popular in businesses as they can be placed almost anywhere in a room thanks to the ceiling mount. Ceiling mounts usually benefit from being able to be turned 360 degrees and thus can face any direction. Projectors can also be ceiling mounted for streamlined home theatres, auditoriums and offices. 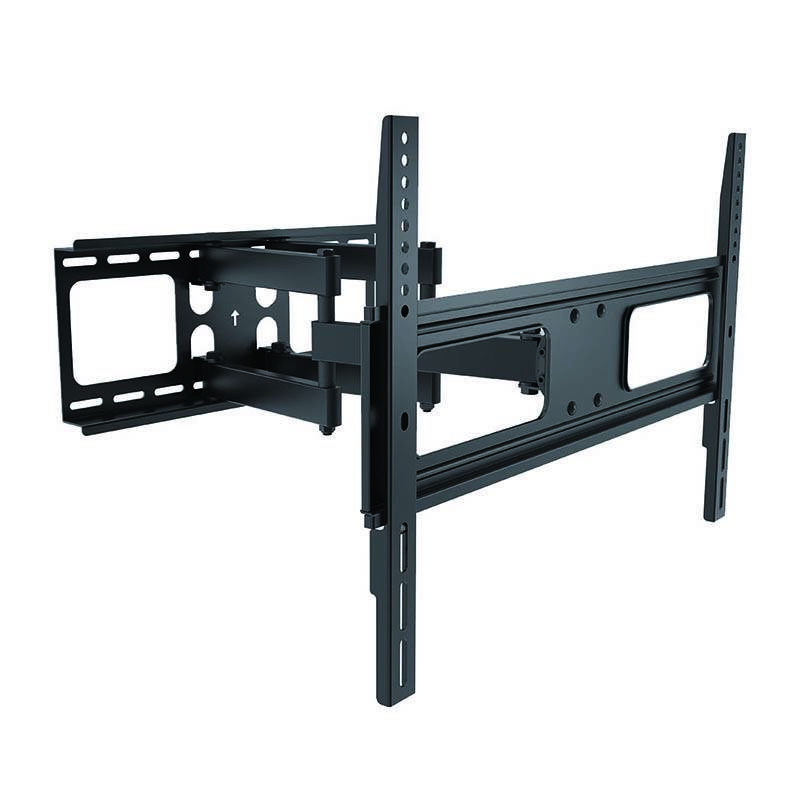 Due to TVs having a larger, heavier design than monitors, vendors create dedicated TV mounts. 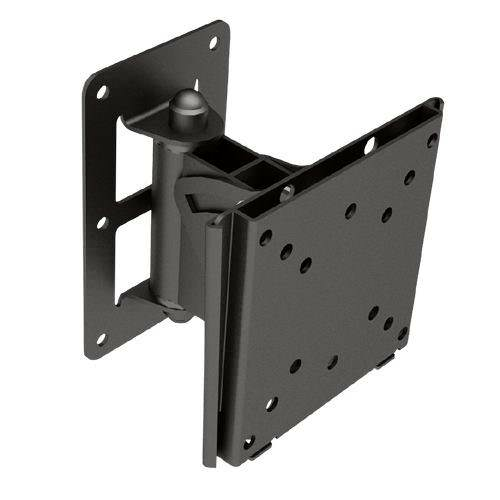 These typically feature much larger VESA mounts and can also have customisable mounting systems to fit a wide range of TVs. 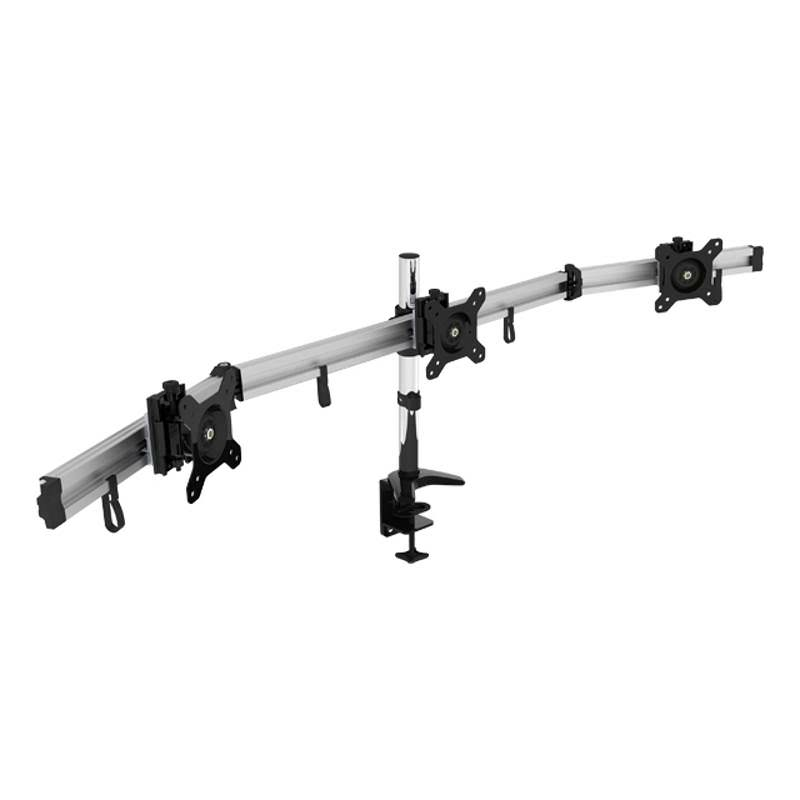 TV mounts are also designed to hold much heavier loads than standard monitor mounts. 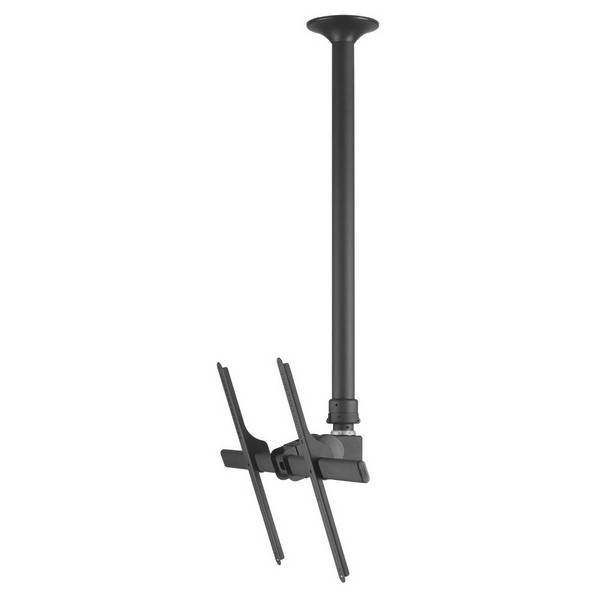 TV mounts are available as wall or ceiling mounts. Brateck Economy Solid Full Motion LED LCD TV Wall Mount - up to 70"
Pay attention to specifications of monitor stands. Some monitor stands support larger, heavier monitors while others may only support small, light monitors. This is especially important to consider if you plan to purchase a multi-monitor stand due to their constrained design. Also, consider the VESA mount size (or if your monitor does not have a VESA mount). Not having a VESA mount will limit you to using monitor stands. Many value-oriented monitors do not feature VESA mounts. If a monitor is equipped with a VESA mount, most are 100mm x 100mm in size. Some smaller monitors may feature a 75mm x 75mm VESA mount. TVs are typically designed with a large format VESA, 200mm x 100mm or 400mm x 200mm – sometimes a custom rectangle pattern is used which is why many good TV mounts offer good customisation options. Browse our wide range of Monitor Stands, Arms, Brackets, Wall Mounts, Ceiling Mounts, TV Mounts and more HERE.